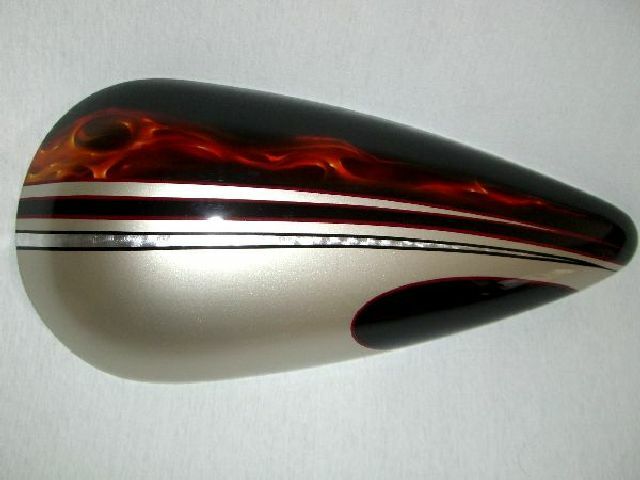 A variety of designs all in one custom paint set, starting with a Black base coat a Champagne graphic is added to the bottom with a thin graphic of spun silver leaf. 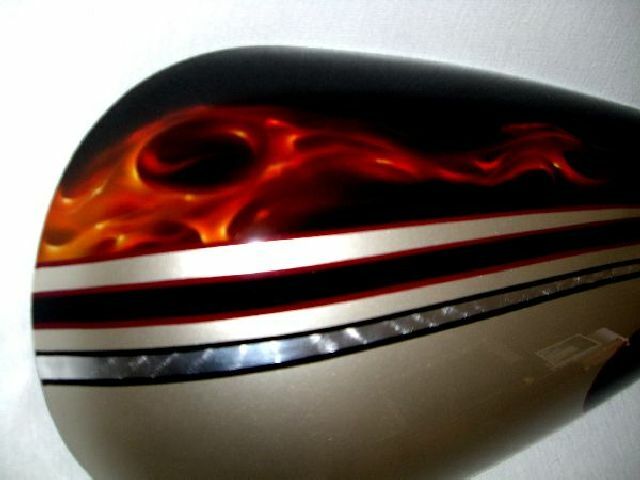 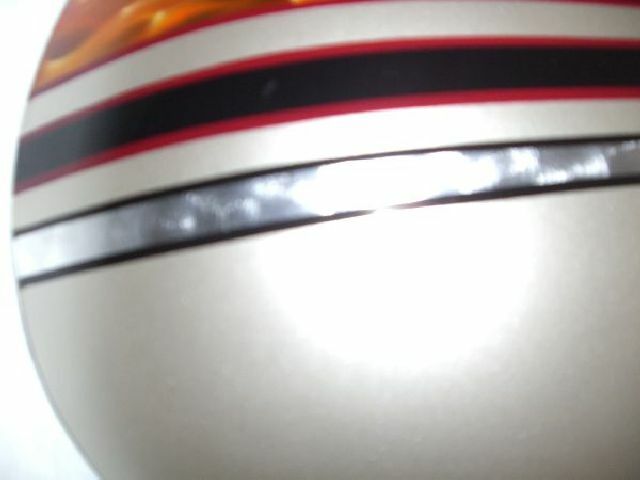 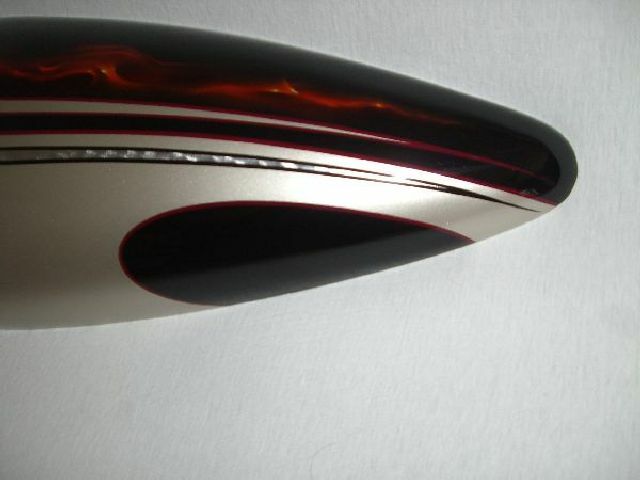 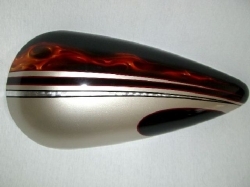 Finished off with a strip of Real Fire across the top adds that finishing touch, pinstriped in your choice of color. 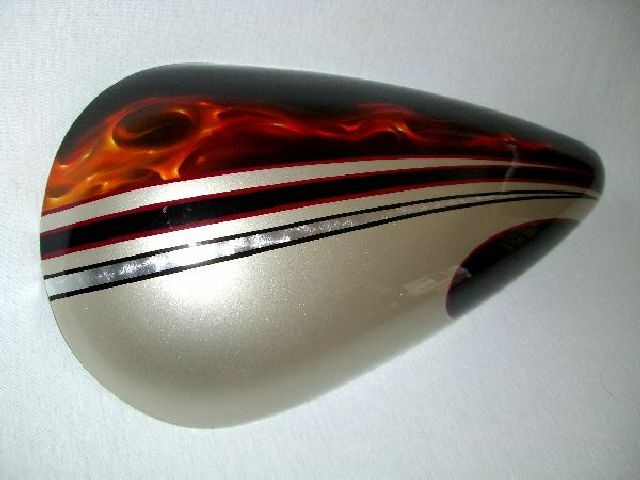 This paint set is complicated due to all the processes required to get this result, but could cut cost by not doing the Silver Leaf maybe Metallic Silver instead, or maybe try Blue Fire and use a Blue instead of Champagne.